BRYAN EATON/Staff photo. 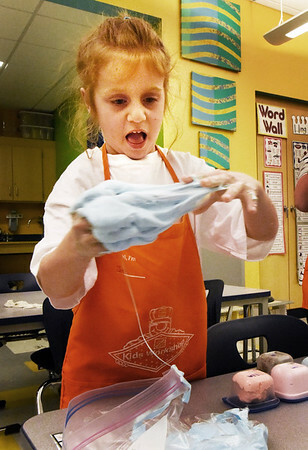 Lia Garabino, 6, stretches out slime she made with friends in Robin O'Malley's first grade class at the Bresnahan School in Newburyport. Her family had the winning bid in the Newburyport Education Foundation to let her bring five friends to make the gooey concoction after school.